The runway, in Milan, featured models Kaia Gerber, Adwoa Aboah, Bella Hadid and sister Gigi, who closed the show in a sheer yellow dress. 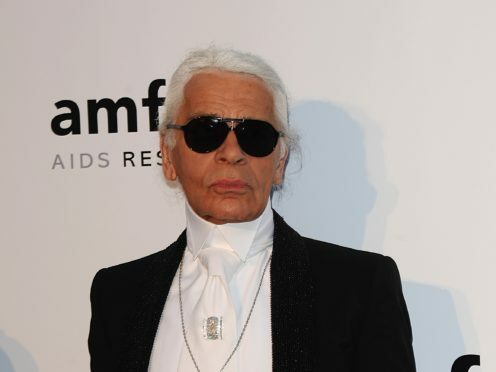 After the show, which was Lagerfeld’s final Fendi collection, a video opened with the designer sketching in his distinctive fingerless, black glove. The pony-tailed fashion guru, who died on Tuesday at the age of 85, was asked whether he could draw himself on his first day at Fendi – he was named creative director of the fashion house in 1965. He drew a hat, long hair, dark glasses, printed tie, hunting-style jacket, French-style culottes, boots and bag. “That was my style, disreputable,” he says of his own sketch of himself in 1965. Lagerfeld was the creative director of Chanel and Fendi.